Home Training Lyft Isn’t Reinventing City Buses. It’s Undermining Them…. Lyft Isn’t Reinventing City Buses. It’s Undermining Them…. Treating Lyft’s new Shuttle service as redundant misses the point. If it carries passengers like a city bus, and it has fixed routes and fares like a city bus, it might as well be a city bus. The joke is funny—but a little too easy, at this point. (My Slate colleagues laughed off Uber’s “smart routes” service in similar terms two years ago.) Lyft’s marketing strategy for Shuttle may lack self-awareness. But to dismiss such services as redundant is to obscure both the conditions that give rise to them and the real threat that they pose to public infrastructure. No doubt Lyft is aware that city buses exist—as are lots of people who either choose not to ride them, or who ride them while pining for a better alternative. Like Uber before it, the company has come to believe there’s unmet demand for a service that resembles a city bus in some important ways yet differs in others. One rather obvious difference between Lyft Shuttle and the city bus is that the shuttles aren’t, well, buses. They’re cars, and that means both a different experience for the riders and a different level of flexibility for the drivers and route planners. Lyft can plan its shuttle routes according to its own fine-grained data on rider behavior, and can rearrange them at any time. That’s in contrast to city bus systems such as San Francisco’s MUNI, which gets painfully overcrowded on key routes during commute hours, but runs mostly empty at other times. The more intimate setting of a car also puts more pressure on Lyft to ensure that troublesome riders are booted from the service, which it can do more easily because it’s private. At the same time, the fact that you need a smartphone to order a Lyft makes it likely to exclude older and poorer riders. The fact that you need a bank account makes it inaccessible to many undocumented immigrants. Lyft didn’t reinvent the city bus, any more than Uber reinvented the taxi. It’s offering a service that is likely to compete with city buses, for better or worse. And rather than glossing over the differences, we should be highlighting them, lest we forget what makes genuine public transit worth preserving. Once the jokes subside, there are at least two lessons here for cities and transit advocates. One is that transit authorities need to adapt more quickly to new technologies (and taxpayers and policymakers need to give them the funds to do so). As my colleague Henry Grabar pointed out last year, bus ridership has been steadily declining nationally—not because people don’t want to ride the bus, but routes have been cut and systems have failed to modernize in key ways that could make their service more convenient. The second lesson is that if mass transit systems don’t adapt, startups (and wealthy employers) will step in, siphoning away not only riders but the public demand for funding and improvements. This has already been going on for years, and it’s only going to get worse as Uber, Lyft, and others keep growing and finding new niches to serve. Some local governments now justify to cuts to transit service because of the appeal of companies like Lyft, setting up a cycle of further disinvestment. 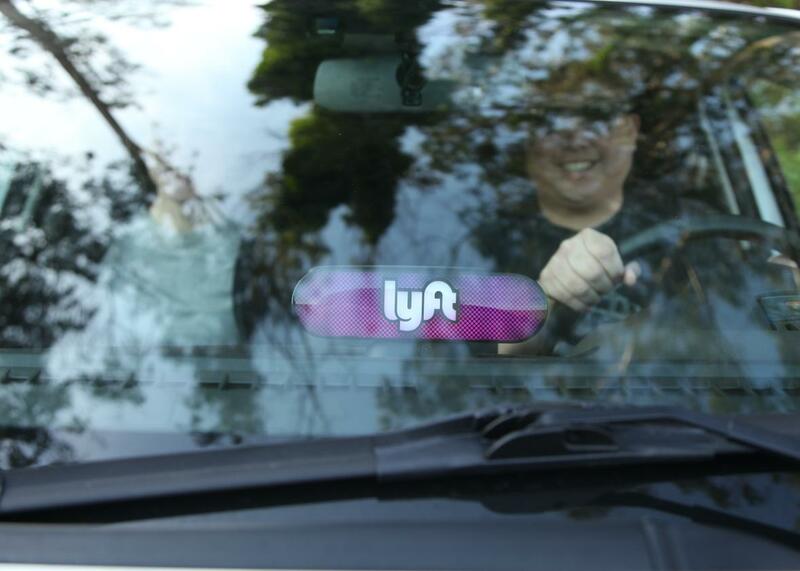 It’s tempting to laugh at Lyft for reinventing something that already exists. But if tech critics and transit activists don’t take seriously the challenge that services like Lyft Shuttle poses, then the joke is on us.